This breakthrough was announced in a series of six papers published in a special issue of The Astrophysical Journal Letters. This is an extraordinary scientific feat accomplished by a team of more than 200 researchers. NSF has directly funded more than $28 million in EHT research, the largest commitment of resources for the project. The telescopes contributing to this result wereALMA,APEX, theIRAM 30-meter telescope, theJames Clerk Maxwell Telescope, theLarge Millimeter Telescope Alfonso Serrano, theSubmillimeter Array, theSubmillimeter Telescope, and theSouth Pole Telescope. Petabytes of raw data from the telescopes were combined by highly specialized supercomputers hosted by theMax Planck Institute for Radio AstronomyandMIT Haystack Observatory. The Event Horizon Telescope (EHT) — a planet-scale array of eight ground-based radio telescopes forged through international collaboration — was designed to capture images of a black hole. 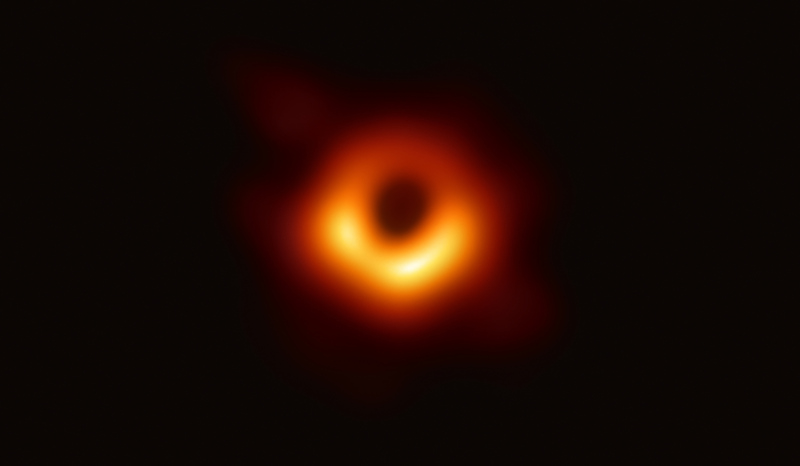 In coordinated press conferences across the globe, EHT researchers revealed that they succeeded, unveiling the first direct visual evidence of the supermassive black hole in the centre of Messier 87 and its shadow. The shadow of a black hole seen here is the closest we can come to an image of the black hole itself, a completely dark object from which light cannot escape. The black hole’s boundary — the event horizon from which the EHT takes its name — is around 2.5 times smaller than the shadow it casts and measures just under 40 billion km across. While this may sound large, this ring is only about 40 microarcseconds across — equivalent to measuring the length of a credit card on the surface of the Moon. We already broken Sound barrier, let’s break light barrier with Warp Drive! Why do we sleep at night instead on day time?